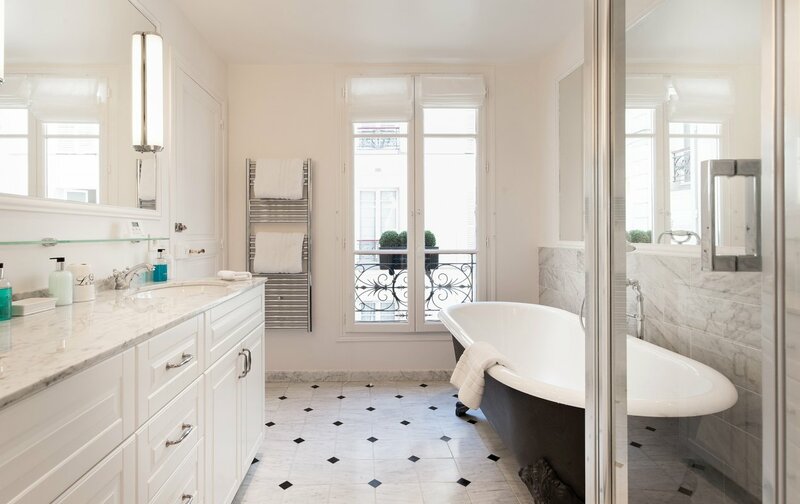 Any potential vacation rental must have a long, impressive roster of coveted amenities and features to be declared “Paris Perfect.” An incredible location is an absolute must, as is an illustrious interior that’s both welcoming and refined, with the atmosphere of a royal retreat. 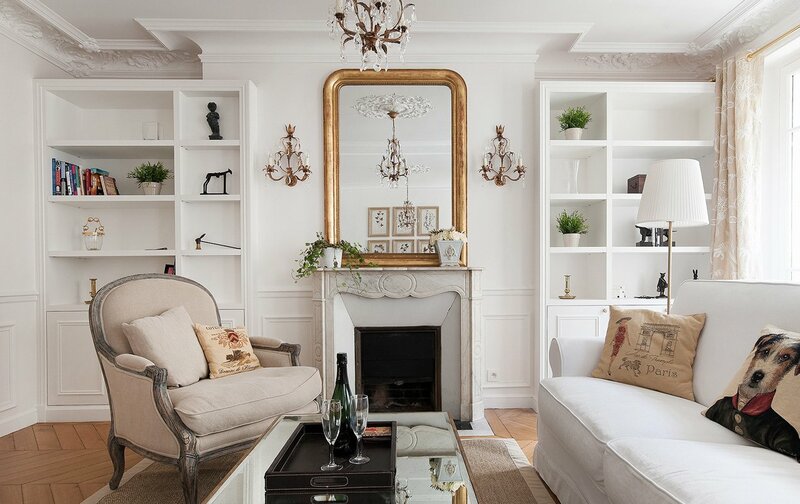 This is exactly why we were delighted to acquire the Montagny – a jewel of an apartment with 2 bedrooms, 2 bathrooms, and an overall aura of pure Parisian elegance. We were impressed from the moment we set foot into this decadent home, starting with the gracious great room, where our guests will surely spend most of their time. The central living area features a collection of cozy furnishings that are enhanced by built-in bookshelves and eye-catching décor, while the towering floor-to-ceiling windows lead to an absolutely stunning view of the Eiffel Tower. 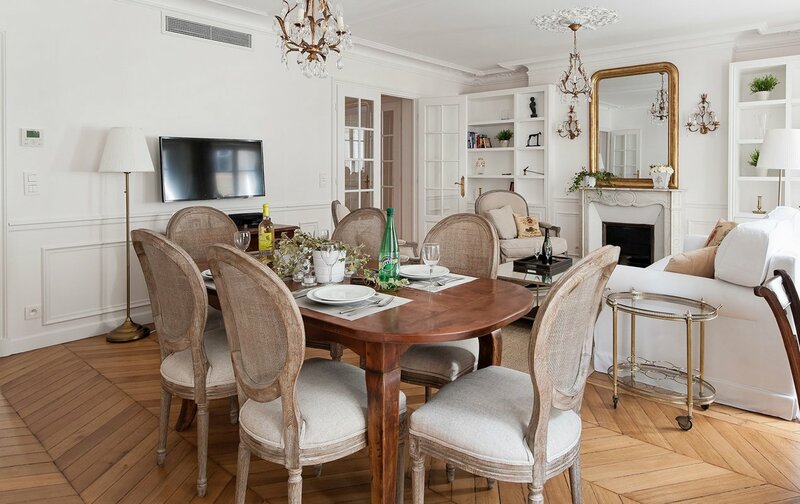 We imagine family members toasting the end of a perfect Parisian day in the adjacent dining area – which is spacious enough to savor multiple courses of French delicacies – or leaning out the balconied windows in the mornings to greet the day with an incredible Eiffel Tower view. 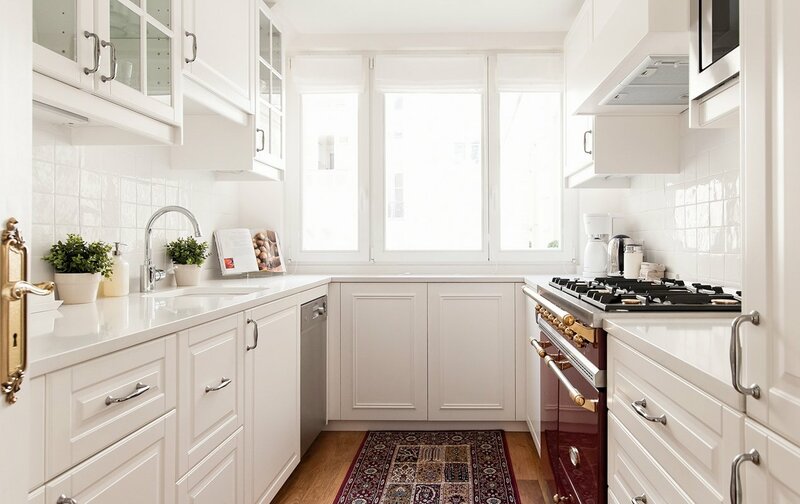 Of course, we’re firm believers that a well-equipped kitchen makes all the difference when it comes to accommodations, and this is especially true in Paris when a myriad of bakeries, open air markets, grocers, and specialty food shops are at your fingertips. Therefore, we were delighted to discover the spacious and airy kitchen that’s stocked with top-of-the-line appliances and offers enough room for multiple chefs to spend their leisure time perfecting the art of French cuisine. 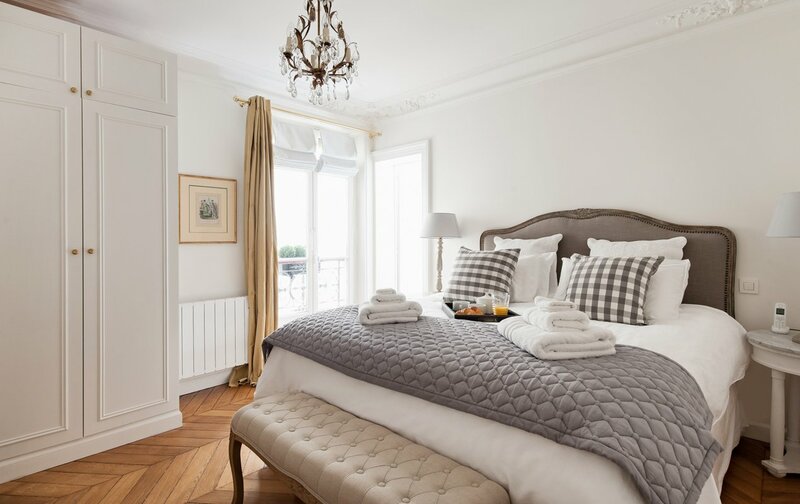 The two bedrooms and two bathrooms within the Montagny outshine any prestigious boutique hotel, thanks to a masterful use of space. The wardrobes are subtly tucked into the towering walls, and a stream of natural light through the French windows creates a warm and inviting atmosphere. One of the bathrooms is ideal for refreshing wake-up calls, with a glass-enclosed shower with rainforest showerhead, while the other is a dream for decadent and lazy evenings in, thanks to a deliciously deep claw-foot tub, separate shower, and dual sink vanity that’s decked out in marble. 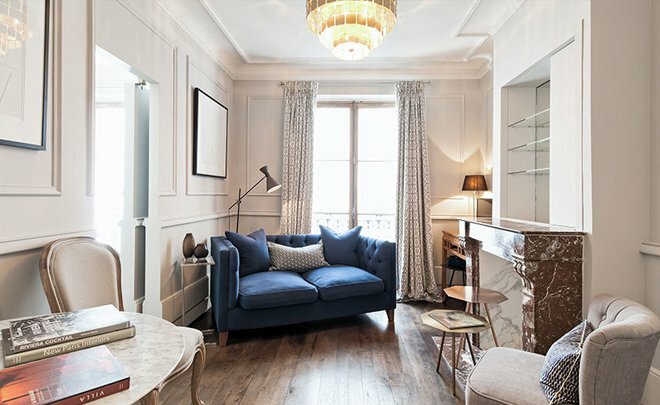 The Montagny is clearly an homage to fine Parisian living, and is a lovely compliment to the elegant collection of sites, activities and attractions that are found just outside the door. 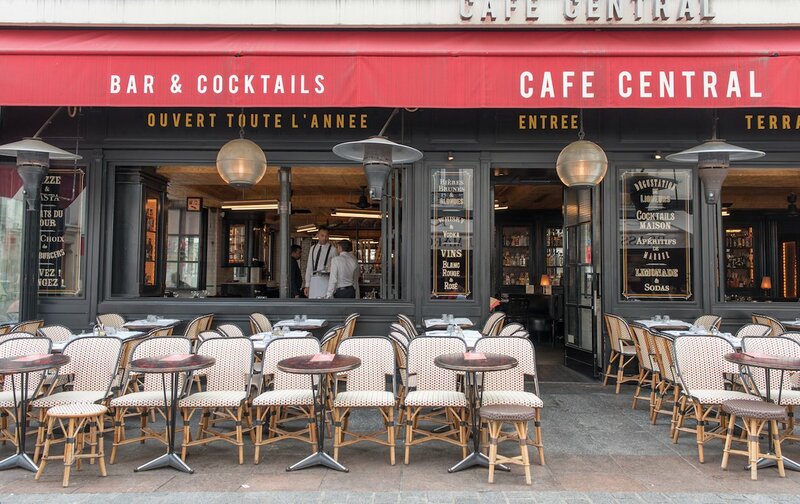 An assortment of magnificent cafes and brasseries are located just down the street, and it’s easy to enjoy leisurely strolls to the nearby Seine River and the lush Champ de Mars Park and Gardens. As a result, families staying in the Montagny can expect to have a series of fun afternoons uncovering the carousels and entertaining children’s attractions within the park, while couples can cap off every night with a romantic stroll along the glittering riverfront. 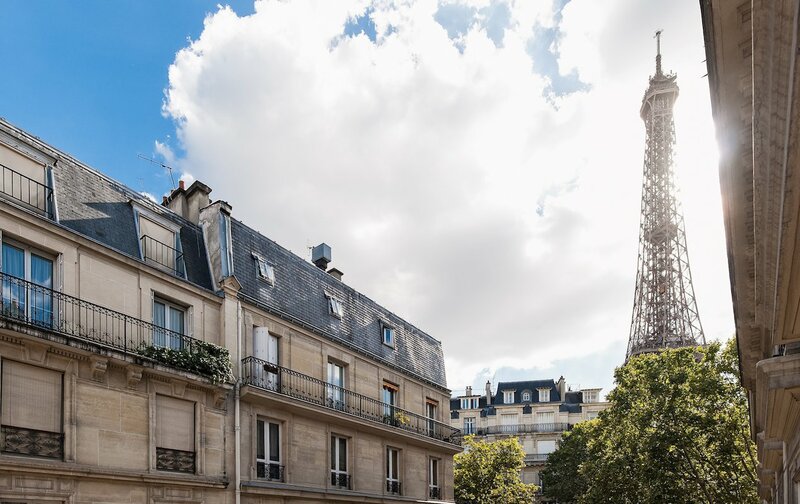 In addition to the charm of the neighborhood, guests will also be just a stone’s throw away from a host of top Parisian attractions, including the Eiffel Tower itself, the fascinating Quai Branly Museum, the subterranean sewer museum (trust us, it’s more fun than it sounds! 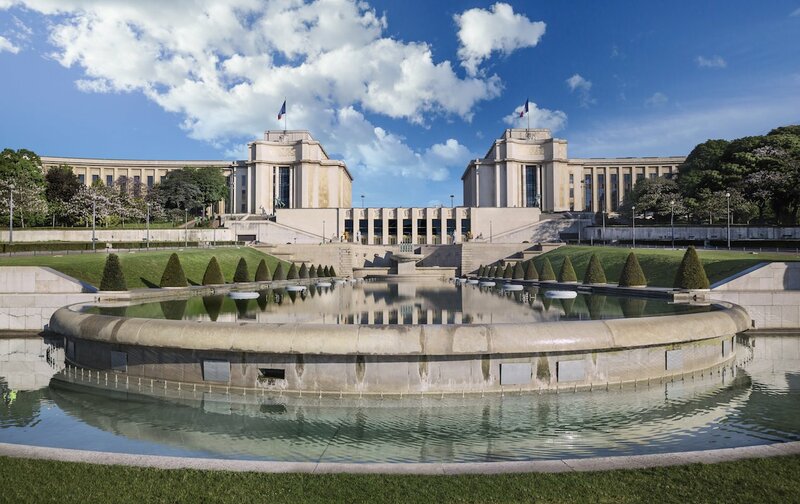 ), the Trocadero square with its amazing views and museums in the surrounding Palais Chaillot, the Gallièra fashion museum, the École Militaire and of course, the famed Rue Cler Market Street. Thanks to this perfect locale, guests can spend a full day hopping from one attraction to the next before picking up armfuls of fresh goodies along the Rue Cler, or settling into a street-front café table to watch the world go by – and all without ever stepping onto the Metro or local bus! However, when you are ready to explore further afield, the Montagny is situated conveniently between three different forms of transportation to get you wherever your itinerary takes you. 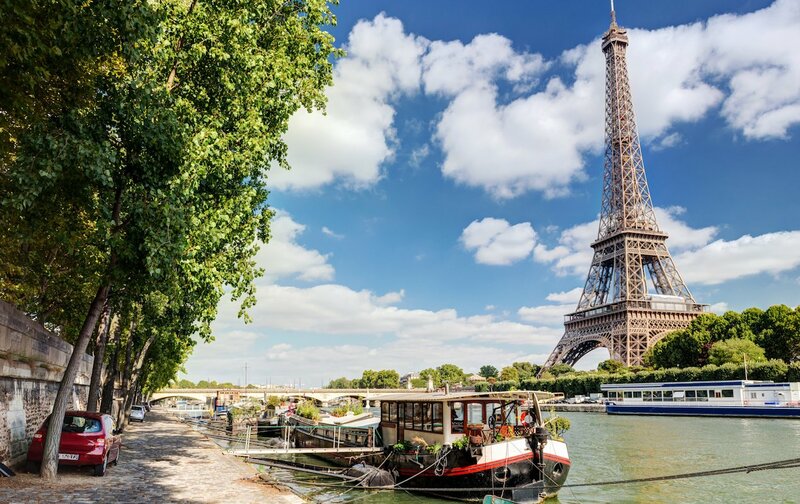 When all these enticing factors are combined, it’s clear that the Montagny is a perfect example of what a “Paris Perfect” vacation is all about. 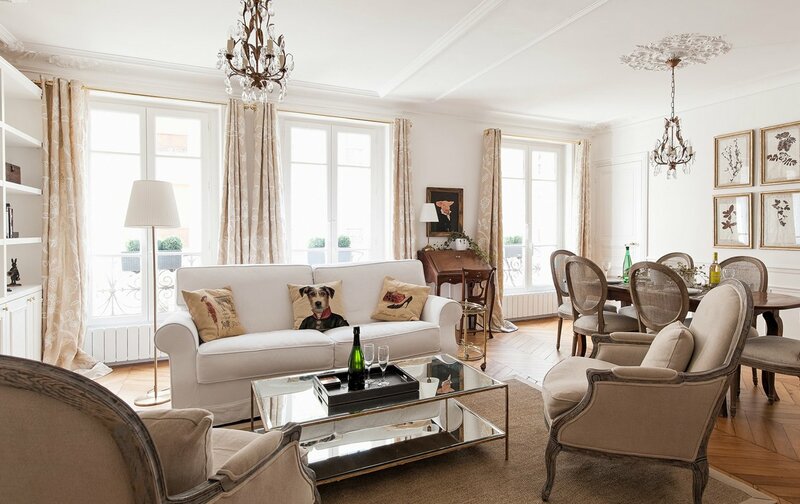 A step above an elegant Paris hotel, with a locale and spacious interior that will leave guests breathless, this apartment combines everything that seasoned visitors adore about a getaway to the City of Light. Secure your reservation before the word gets out! See the apartment profile for more information and to check availability, or email our reservations team at [email protected]. Posted on Tuesday, August 30th, 2016 at 2:08 pm in Apartment Rentals. You can follow any responses to this entry through the RSS 2.0 feed. You can leave a response, or trackback from your own site. Bloomberg Showcases Our Exclusive Real Estate Services! 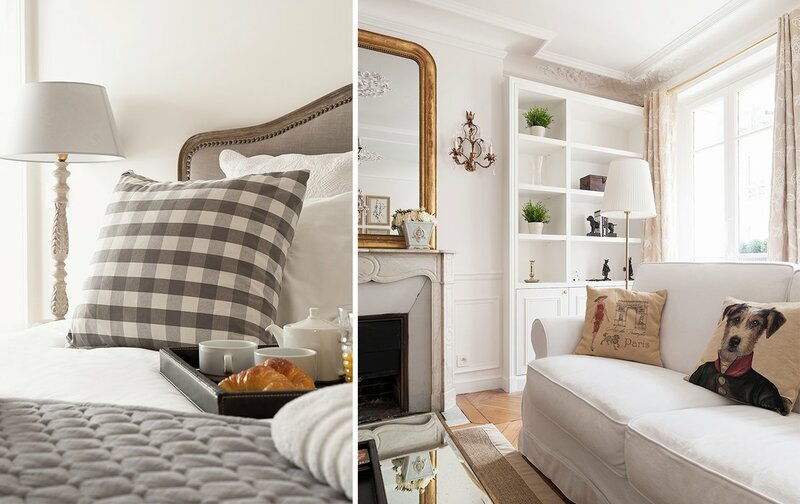 Meet the Fronton – A Sleek 3 Bedroom in the Elegant 16th Arrondissement Introducing the Tavel – A Fresh New Apartment in Saint-Germain! Introducing the Romantic Margaux Vacation Rental!